The 2018 Standard Bank Jazz Festival in Grahamstown presents a programme of exciting performances to mark key milestones for iconic jazz legacies. Savvy jazz lovers are in for exciting musical treats, with performances marking the impact of The Blue Notes, led by trumpeter Marcus Wyatt; 50 years of Yakhal’inkomo, the historic record by Winston Mankunku Ngozi; 30 years of the collaborative relationship between McCoy Mrubata and Paul Hanmer; 30 years of Mike Campbell at the helm as founding head of the UCT Jazz School; and an imaginative memorial to Michael Brecker, the American saxophonist and composer by Norwegian saxophonist Petter Wettre. Taking place during the National Arts Festival, this year’s Standard Bank Jazz Festival (SBJF) - the longest-running jazz festival on the African continent - will live up to its reputation with an imaginative set of performances that pay homage to historic jazz projects, iconic records, and groundbreaking musicians, all presented with a youthful energy. Celebrating 30 years of a continuing collaborative relationship, McCoy Mrubata and Paul Hanmer will ascend the stage to share the magic that has kept them going for three decades as mainstays of the jazz world. The saxophonist and pianist have respectively presided over some of the groundbreaking projects in contemporary jazz, in their own albums or broader collaborations. They will perform what is promising to be a historic duet set at the festival. 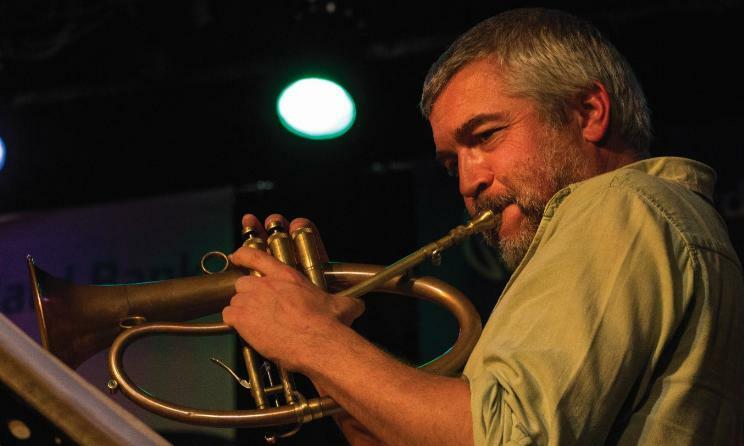 Marcus Wyatt has established the Blue Note Tribute Orkestra with the intention of reminding musicians and South African audiences of the immense impact made by the passionate young quintet led in the 1960s to 80s by pianist Chris McGregor. The Blue Notes impacted significantly on the development of European and British jazz in the period of the South Africans’ exile, and that music has yet to be appreciated fully at home. Writer Percy Mabandu will mark 50 Years of Yakhal’inkomo, the historic record released in 1968 by Cape Town-born saxophonist and composer, Winston Mankunku Ngozi. Mabandu will lead an interdisciplinary performance that converges jazz music with literature with an all-star band that includes, Sisonke Xonti and Linda Sikhakhane on saxophones, Andile Yenana on piano, Ayanda Sikade on drums and Shane Cooper on bass. It’s already over 10 years since the passing of the great American saxophonist and composer, Michael Brecker, who built a massive legacy, and Norwegian saxophonist Petter Wettre will lead his own quintet in a celebration of the memory of the iconic jazz musician that Brecker was. The UCT Big Band will perform under the baton of their conductor, Professor Mike Campbell, in a nod of observance to his 30 years as founding head of the UCT Jazz School. Over the years the school has produced the lion’s share of young professional jazz musicians all the way from its first intake that included Marcus Wyatt and Buddy Wells and has gone on to include 10 of the last 13 Standard Bank Young Artists for Jazz, including Shane Cooper, Bokani Dyer and Benjamin Jephta. “As the longest running jazz festival not only in South Africa but on the African continent, we’ve been witnesses to some memorable milestones in the development of the music. Many iconic musicians have been on our stages over the years as they built careers that have become important parts of our shared jazz heritage and legacies. It makes sense for us to celebrate these musicians and their work with imaginative programming that reimagines their work for a new audience,” says Alan Webster, Director of the Standard Bank Jazz Festival. “We see the festival as much more than a joyous event that highlights our nation’s best artistic talents. The work of the festival is also to mark key moments in the life of our society. It helps us measure our progress in deeper cultural terms. It is important for us to see this historic aspect reflected in how we think about this festival as the longest running jazz festival on the continent,” says Jenny Pfeiffer, Head: Brand, Sponsorships and Events at Standard Bank. Standard Bank card holders qualify for a 20% discount subject to terms and conditions. For more information and to book visit www.standardbank.com/naf.